I just wanted to post where I was up to on the current stack of upcoming material for The Cthulhu Hack. Expect a slightly updated copy of the PDF of the core rules in the near future. As well as including a new Cthulhu cover image by talented artist Henning Ludvigsen – along with the existing ones so you have the option to do home printing with whatever version you prefer – the rules will have a minor tweak or two. There’s nothing major – just a little clarity. For example, David Black recently posted a clarification for Advantage and Disadvantage that makes perfect sense to include in the core. I have a partially completed draft of Convicts & Cthulhu that I’m working through a second time to fill in the gaps and plug holes. This will be a supplement to support playing convicts and guards in 19th-century penal colony Australia, as detailed in the excellent Convicts & Cthulhu supplement by Cthulhu Reborn. 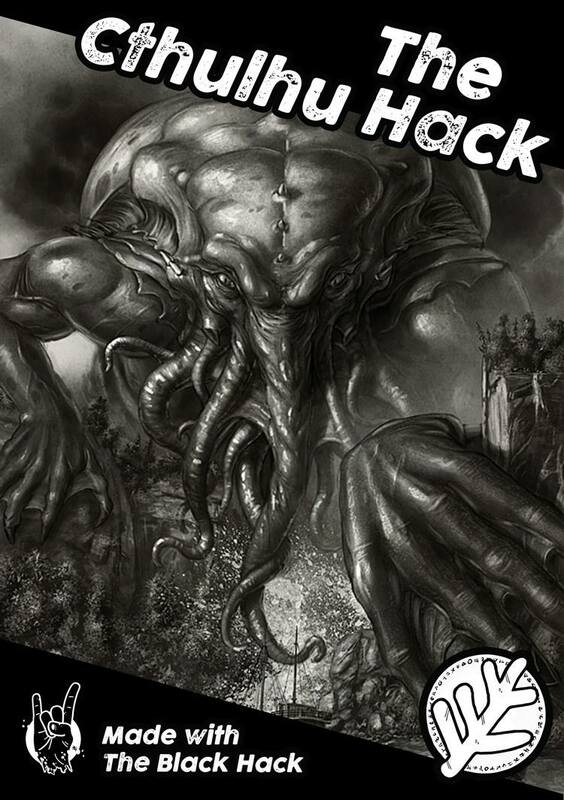 I also have a slightly less than complete first draft of The Haunter Hack, which guides you through the process of using Lovecraftian stories as a basis for simple games of The Cthulhu Hack. The text will break down elements of the story into Flashlights, Smokes, antagonists and Sanity sinks, offering a usable adventure and considered guidance on creating adventures yourself. And somewhere off in the middle distance, I can see Derr Unaussprechlichen Hack – which needs to gather enough material before hitting PDF – and Doom in Dunwich – a randomized sandbox village generator, which you can easily team up with From Unformed Realms for unpredictables forays into the Unknown.